My first reaction when I’ve seen professional fruit pickers at work was probably the same as every newbie: « Oh my god: it’s just impossible to be so quick, they must be cheating in some way to reach this level of speed! ». Then, of course, my next mission was to discover what was their secret to cheat, so I could try it myself! Easy?… Not really! Because I have to tell you the truth: there is NO cheating secret to be revealed! After spending a lot of time watching the real good pickers, I had to admit that it was just about experience and nothing else; and that I was better starting now to improve my technique, otherwise I would never become a pro myself! Now that I am a professional fruit picker, I always smile when I hear somebody saying: “This is just impossible to be that quick!” Nothing is impossible for people willing to learn. Picking is like every job: it requires some skills that you need to learn, practice and improve, in order to fully master it. As you can’t play an instrument for the first time and have the perfect sound (unless Mozart is one of your relatives! ), you will never be the best fruit picker at your first experience! I could use the famous kiwi set expression to give you my first advice: “Go hard or go home!” It seems a bit harsh, but the reality is that without effort, there is no way to achieve great things. Now, let’s review the most commons cheating “tricks” one by one, and I’ll try to let you know why it’s not a good idea to use them. You can trust me, I’ve tried most of them (everybody can make mistakes), and none work as well as the “honest way”. So many little tricks can be learned in every kind of fruit picking to try to put less fruits in the container. But why wasting some time (because it DOES take time to learn all those tricks!) learning how to cheat, when you could actually use this time to learn how to pick better and become quicker? This is just a math problem that we have here! In every case, cheating is something technical: it required skills too and it generates a lot of stress, as you will have to hide what you are doing from your supervisors. Also, trying to lower the level of fruits/veggies in the picking container only works for a time. At some point, you will be asked to fill your container properly, and you can be sure that you’ll lose some time doing it. And afterwards, your supervisor will watch you more carefully, as he won’t trust you anymore. So by using those techniques, you end up losing time and… money! People are always willing to earn more with less effort. For me, it’s like willing to have a camping chair that will last forever when you actually buy it from the dollar shop: stop dreaming, it’s not going to happen! Learning the proper way to do your job take certainly a bit more time at first, but consider it as an investment for the future. What you learn correctly is never lost, it belongs to you and you will be able to be quicker the next time you will have to use that skill again. Also, keep in mind that breaking bad habits is a way harder than trying to take good ones from the beginning. Once you have wrong habits (like smoking for example! ), getting rid of them is such a difficult thing. On the long term it will also slow you down, as the quality controllers are here to make sure that the job is done properly. They will come to you more often if you don’t comply with the rules, making you wasting more time and again… money! rvisors can’t see everything all the time, but they are not stupid and most of them have been picking before, so they know the tricks too, probably even better than you! Long-term relationships with farmers are much more important than what you think. You never know if you will be back in a place or not. As I always say: “Never say never”! When I started picking I thought it would be a “one-in-a-lifetime’s thing”, but I actually kept picking much more than I would ever think. But, above all, keep in mind that the picking world is much smaller than what you think. Reputation goes quick: as you have probably heard that some farms are bad, farmers do hear too when pickers are bad! Your reputation as a worker is in danger if you behave in the wrong way. We have seen many pickers “banned” forever from excellent orchards, just because they pushed the limit too far. If you work honestly, you will have more chances to be recommend in the good farms, where you will be able to improve your skills, to be treated well, to have a good time and, surely,…to make more money! After saying all of that, don’t get me wrong: sometimes it is obvious that the standards asked by a farm are just impossible to reach and that they don’t want you to make money. In that case of course, taking some actions is the right thing to do. But before screaming for vengeance, you first should ask yourself those few questions. Am I experienced enough in this job to know if the standards they are asking me are legitimate or not? 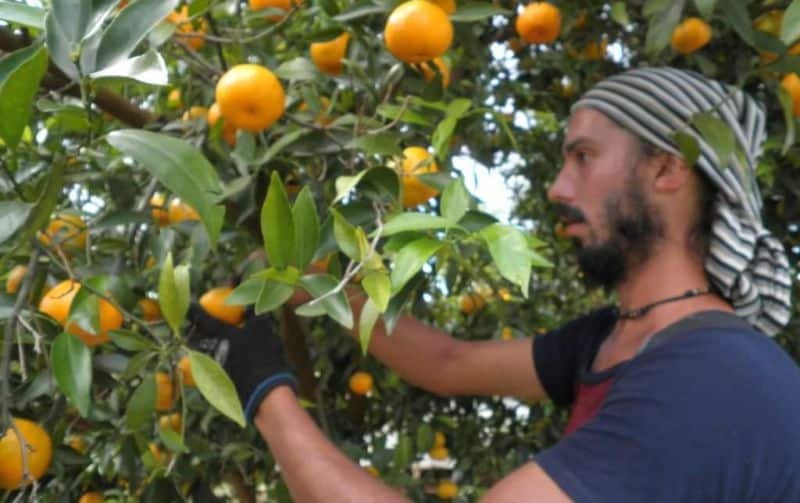 (Be careful not considering you as an experienced fruit picker who knows everything about standards, while you have been actually working only ten days in one farm before. Obviously, doing something only one time can not be considered as long-term experience!). Are there any pickers that can reach the objective asked without too much effort? How many of them? (If, for example, no ones can reach the minimum wage in the farm, this is definitively wrong, especially if some of the workers have a lot of previous experiences in picking!). Am I using the tools/gears/machinery properly? Am I using the right technique? Did I ask my supervisor enough questions to improve my skills? 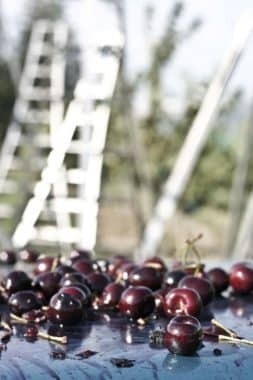 Cherries that have been “rejected” from the packhouse for quality reasons: leaves, stemless, rotten ones, splits, etc. Finally, if you still think you are being “screwed up” and there is definitely no way to make decent money in this farm, then of course don’t let the blues get you down. No one should be working with impossible goals to achieve. Nevertheless, we always encourage you to try to communicate with your boss/management team prior to anything else. Violence, cheating or anything like that will never solve your problems. If you see that despite all your efforts in trying to fix the situation nothing is changing, then the only option left is to find yourself a better job in a better farm. Well said, the English is off a little but overall a really good post. 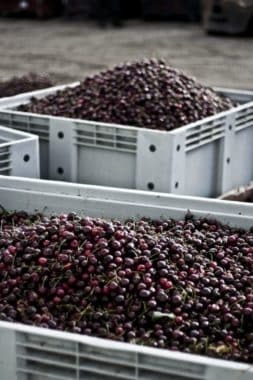 Did you work at lucaston park orchards last cherry season? This info is key. fruit pickin is a personal journey, dont compare yourself to others (except for motivation) and as I was told when I started the first year is an investment. Get the tech first and the gold will follow. You will learn a lot about yourself in this field of work. Totally agree, great advice for new people wanting to work in the industry.